Tuesday from 11:00 to 12:00 Stanza 118 DEI-A primo piano ingresso a destra La data indicata è totalmente indicativa, non essendo ancora disponibile l'orario delle lezioni.Si prega quindi di prendere accordi con il docente. enrico.zanoni@unipd.it INDICANDO NEL SUBJECT "OPTOELECTRONIC DEVICES"
Full Professor in 1993 at the University of Padova and, in 1996-1997, at the University of Modena. Since 1997 he is full professor of Microelectronics at the Department of Information Engineering of the Univ. of Padova. Author or co-author of more than 600 papers published on international journals or presented at international conferences, coeditor of the book "Flash Memories" (P. Cappelletti, C. Golla, P. Olivo, E. Zanoni eds, Kluwer Academic Publishers) and of the book “Power GaN Devices - Materials, Applications and Reliability” (Matteo Meneghini, Gaudenzio Meneghesso, E. Zanoni eds., Springer 2016); coauthor of more than 10 book chapters. Coauthor of more than 60 invited papers at international conferences. On March 19, 2018 the Scopus database reports 514 items, with more than 7600 citations, h-index 40. The ISI Web of Science database reports 438 records by E. Zanoni in the 1986-2018 timespan, which have been cited as reference more than 5900 times (4878 excluding self-citations) with an h-index of 36 and 4 “highly-cited papers”. He has been or is committee member for the following conferences: IEDM 1995, 1996, 2008, 2009; ESSDERC 1997, 1998, 2000; ESREF 1996, 2000, 2004; SPIE Photonics West Gallium Nitride Materials and Devices, 2015 and 2016; ESSDERC 2014, ICNS 2017. He has been member of the editorial board of Microelectronics Reliability. He is member of the editorial board of the Italian journal “Luce e design”, on the applications of LEDs to general lighting. Enrico Zanoni has been responsible for a large number of European Commission, ESA, EDA, USARO, ONR projects, for research contracts with industrial laboratories and for ASI, CNR, MIUR, MAECI, MAP, MINDIFE national contracts. Please see separate list of relevant research contracts. Enrico Zanoni is active in the field of characterization, modeling, reliability physics and failure analysis of electron devices since 1982. 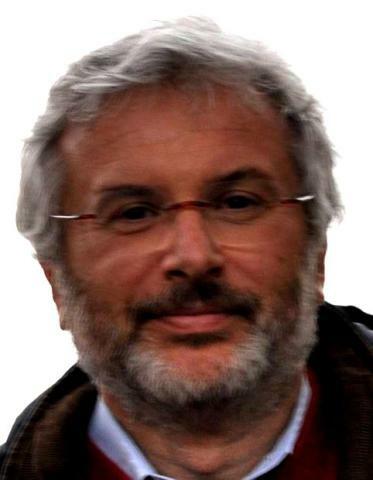 After moving to Padova in 1988, he promoted, together with Claudio Canali and Alessandro Paccagnella, the establishment of a research group involved not only in device reliability evaluation (with Gaudenzio Meneghesso and Matteo Meneghini) but also in CMOS integrated circuit design (Andrea Bevilacqua, Andrea Gerosa, Andrea Neviani and Daniele Vogrig), radiation hardness (Alessandro Paccagnella, Simone Gerardin), organic semiconductors (Andrea Cester), photovoltaics and MEMS (Gaudenzio Meneghesso). The group now comprises 10 Faculty and one technical engineer, and hosts approximately 40 young researchers (including PhD students, MEE graduating students, post-docs). This research unit has set up a laboratory (1000 m2) devoted to design and testing of electronic devices and circuits, equipped with CADENCE design tools and SENTAURUS TCAD device physics simulators, environmental chambers, accelerated test systems, Electro Static Discharge simulators, Semiconductor Parameter Analyzers, C(V) plotters, transconductance frequency dispersion measurements, non destructive pulsed characterization systems based on Transmission Line Pulse. A part of this lab is devoted to the full characterization of solar cells. Diagnostic and failure analysis techniques, including emission microscopy, SEM, atomic force microscopy, Secondary Ion Mass Spectroscopy, as well as radiation testing systems are available within the lab or through collaboration with the Department of Physics of the University of Padova.